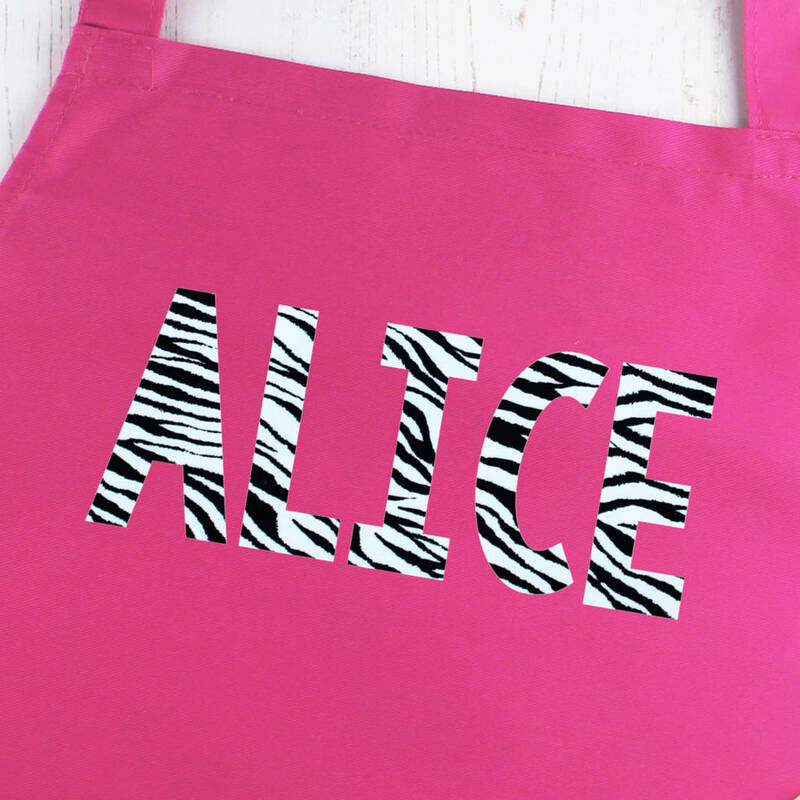 This stylish personalised ladies apron features your name in modern zebra print. A perfect gift, this personalised apron is perfect for the modern woman. It is custom made with a contemporary font and the year's biggest trend - animal print! 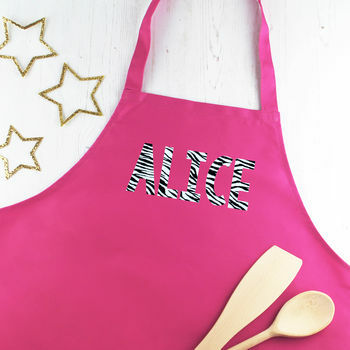 Our high quality aprons are professionally printed in our studio in leafy Surrey. They are hard wearing and machine washable, made from a heavyweight premium cotton blend.